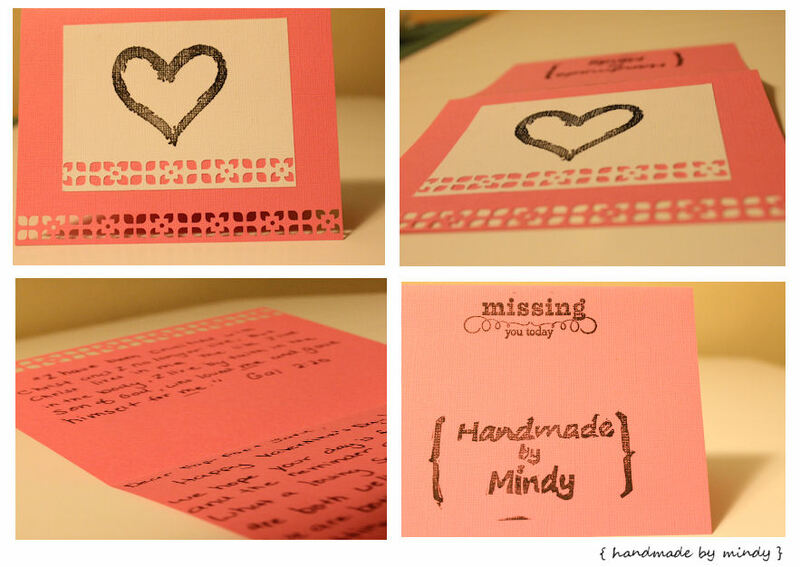 Handmade by Mindy: Happy Valentine's Day! I hope you had an amazing evening and day, yesterday. I enjoyed getting my new serger in the mail (best v-day present to myself EVER! ), Chinese food, the movie Aladdin, and amazing homemade brownies made by my husband. So sad the day had to end. I did homemade some Valentine's Day cards this year and sent them all to my family. I hope you guys enjoyed them! These are so pretty! I love the edge puncher you used!